I understand that this is going to be FUN, intensive work, and I’m up for the challenge! By participating you agree to accept the terms and conditions of this agreement. This Agreement will terminate if any Terms and Conditions are breached. Please check the box and click Agree. Allow 10 seconds for form to process. 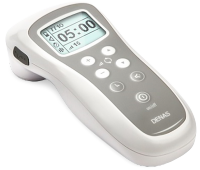 You will receive a copy of this Agreement via email and be redirected to the Assessment, complete that and then login to the DENAS 7 Day Quick Start eBodyFUSION Micro-Current Biofeedback Training and to automatically receive emails reminders this week.